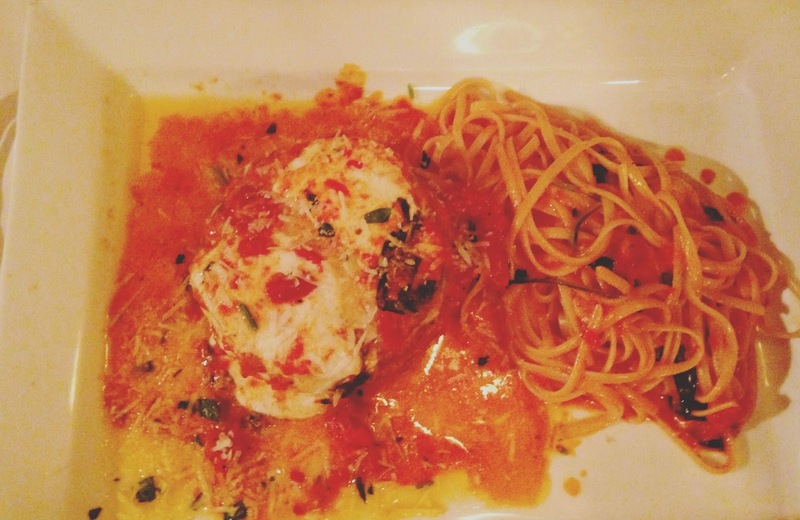 Can I just eat Italian food every meal of the day? 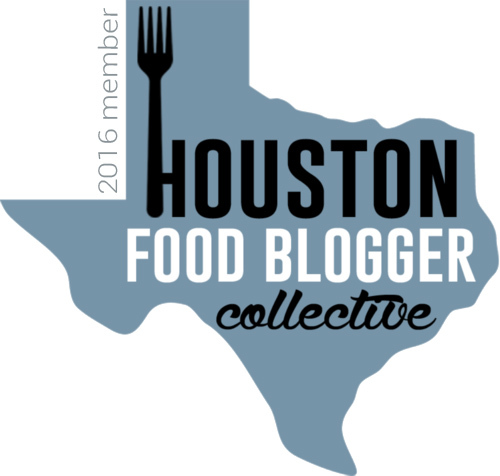 Last month Jon and I visited our friends Mark and Kelly who live outside of San Antonio. 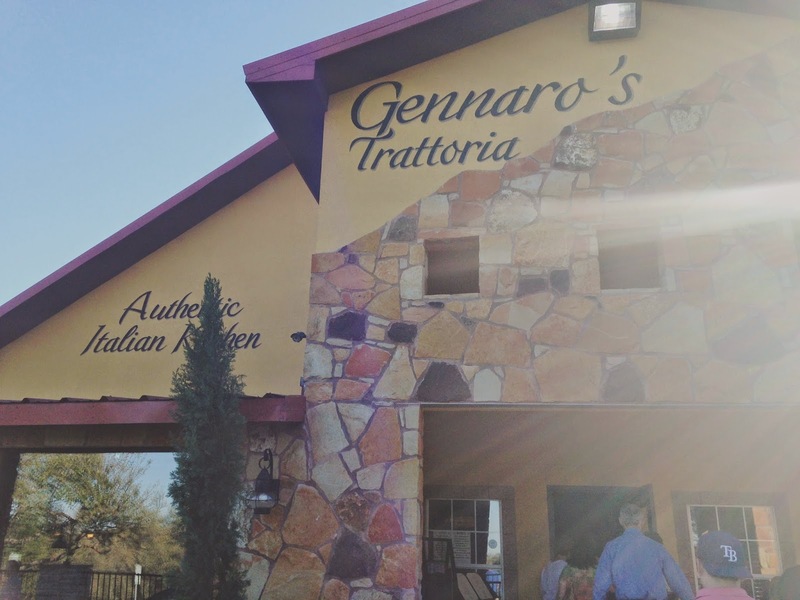 After spending a few hours tasting wine one day at La Cruz de Comal, we ventured just up the road to Gennaro's Trattoria in Canyon Lake for dinner. 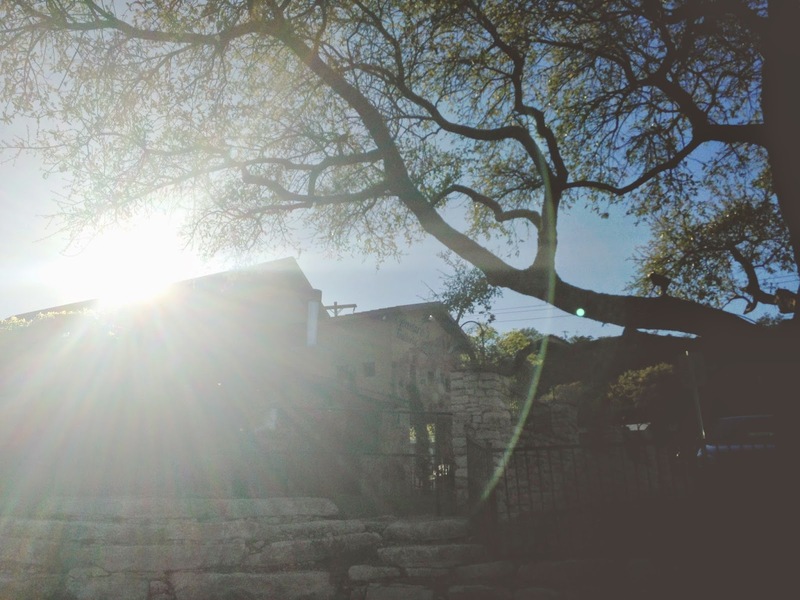 Its Hill Country setting is absolutely gorgeous. Lush with flowers and beautiful vine-y plants, the outside of the restaurant was the perfect setting on that beautiful day to split a bottle of wine as we waited for our table. 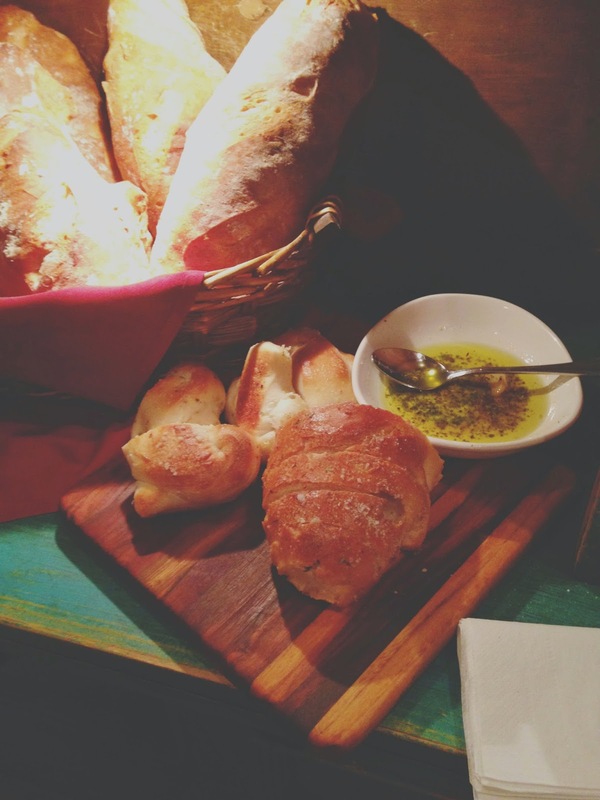 And um, hello delicious bread. 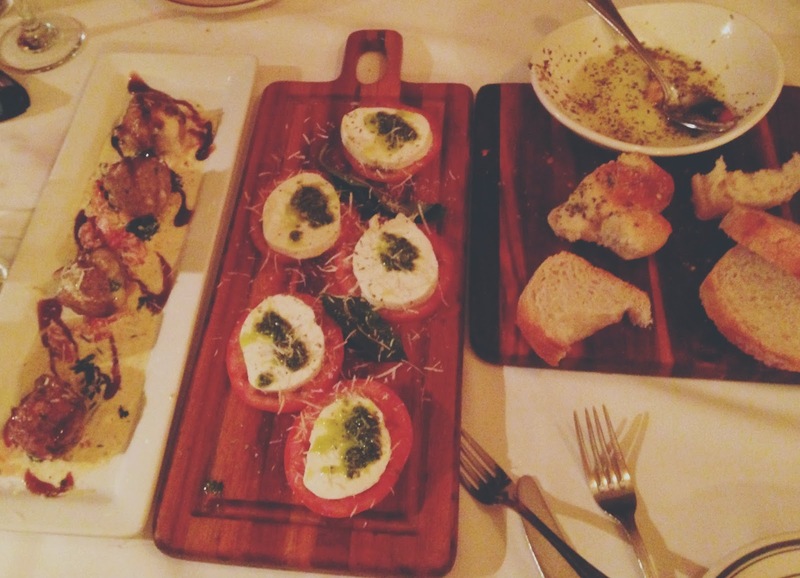 Once seated, we debated between ordering the caprese or bruschetta for an appetizer. 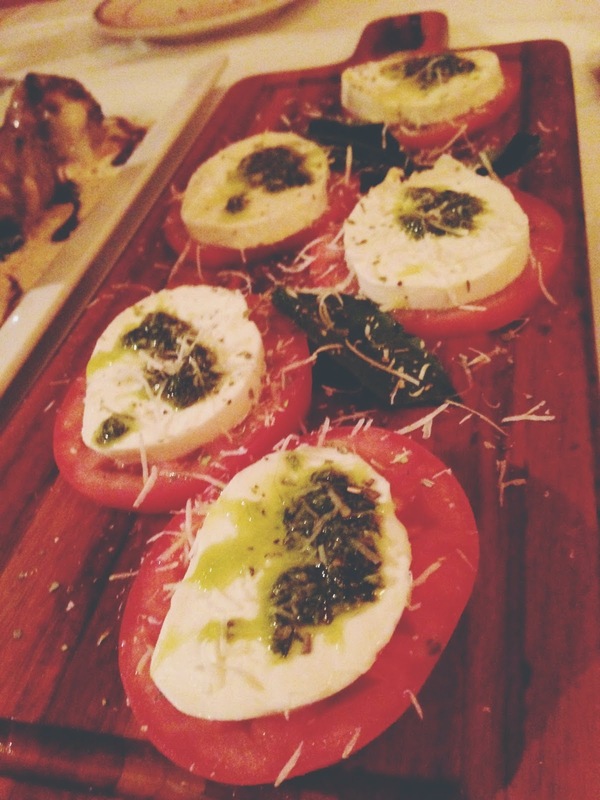 We settled on the caprese, and the others in the group also ordered the lamb meatballs. The caprese was good, but nothing out of the ordinary. At first glace I thought it might be extraordinary since it was drizzled with a little bit of pesto, but the ratio of pesto to mozzarella/tomatoes wasn't high enough to make it stand out. Regardless, the tomatoes were plump and ripe, and the healthy amount of mozzarella made it an enjoyable starter. After discussing vegetarian options with our server, I ordered the melenzane ana maria (without prosciutto) for my entree. To be honest, I only had a few bites because at that point I was so bread- and wine-full, I was about to pop. BUT, what I did have I loved, and I devoured my leftovers the next morning for breakfast. It was absolutely delicious. The dish was made up of layers of breaded eggplant with mozzarella, sundried tomatoes, and spinach, and it was all topped off with a creamy roasted bell pepper sauce. I'm not sure if it usually comes with a side of pasta or if this one did because they turned what is normally an appetizer into an entree for me, but either way I was happy about it. The breaded eggplant was seasoned beautifully with Italian herbs, and the roasted bell pepper sauce tasted like a zippy, unique vodka sauce. And the melty, stringy mozzarella was wonderful and not at all overpowering. It was an incredibly delightful plate! 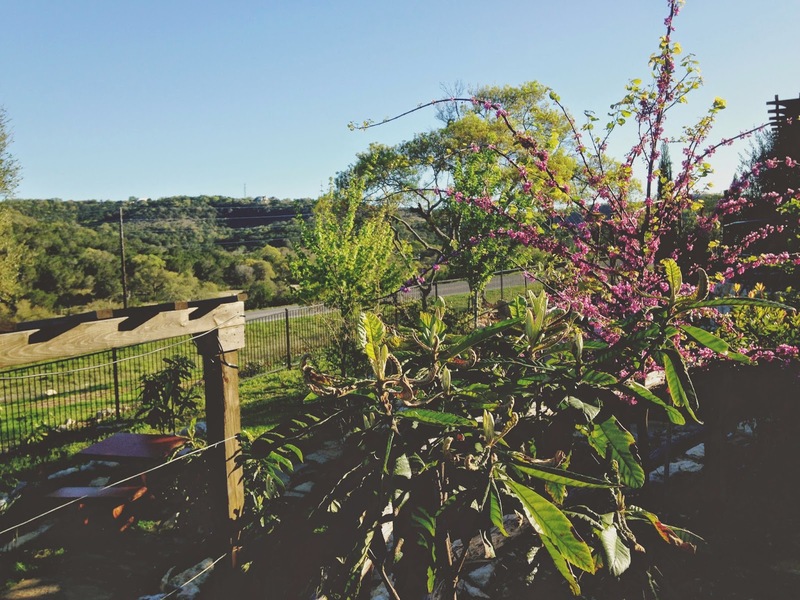 1) The Texas Hill Country is gorgeous, and makes for a quick, lovely weekend away. Also, WINE. 2) If you're out there enjoying an afternoon of sipping on vino, a trip to the laid back, cozy Italian restaurant Gennaro's is bound to be a fun one!